Another mini card for a colleague who is leaving end of the month due to 'organization restructure'. I made a mini card because I am going to insert the card into a transparent gift pouch together with the farewell gift. I hope the sentiment would bring some new lights and hopes to her because she been working for the company for 15+ years and in the end, she got retrenched. She says that this is her first job since her graduation. I know it must be hard for her. I adopt the simple sketch from Pals Paper Arts - PPA196 - A Sketch Challenge as shown above. 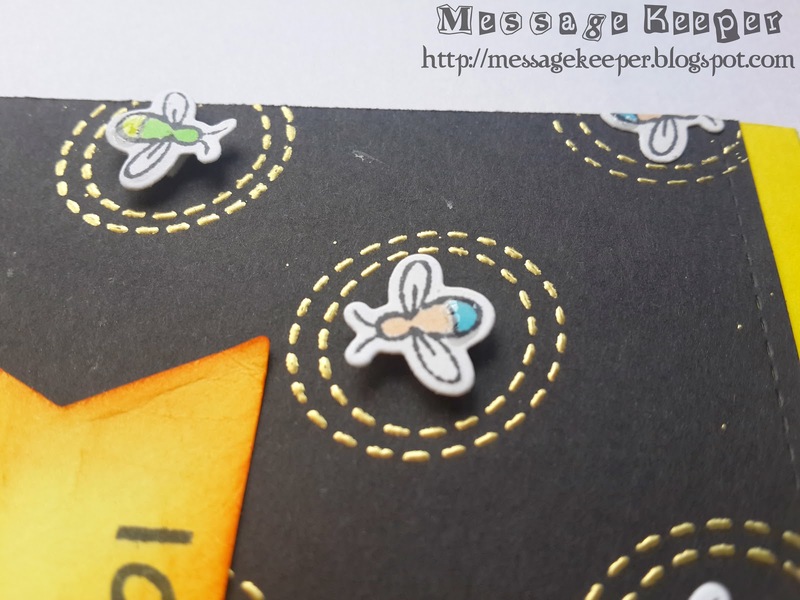 A black card stock is die cut and stamped with the firefly 'glow' using Versamark ink. It is later embossed using gold powder. The black card is attached onto a yellow card base as in sketch. The excess of the black card is trimmed off. The yellow card base is corner rounded on the top and bottom right corners. 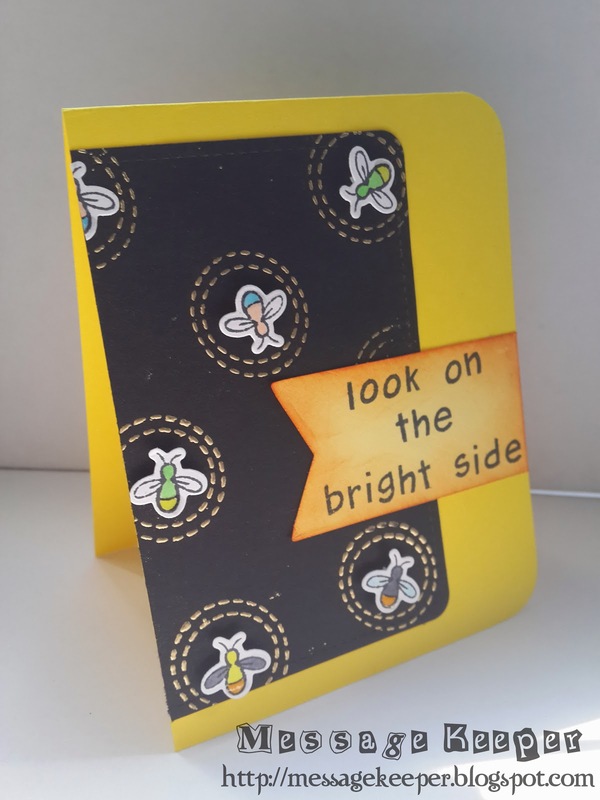 I choose a yellow card base so that it would match the sentiment - 'on the bright side'. 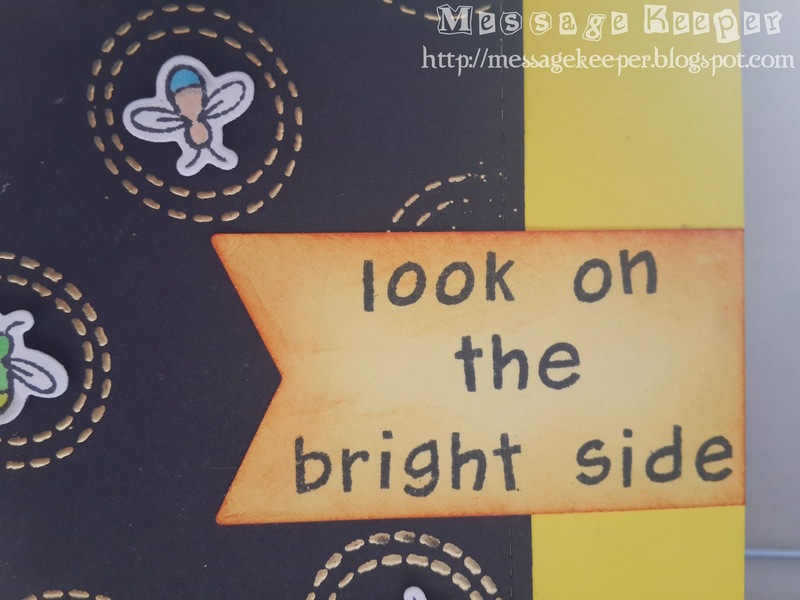 The sentiment is customized using alphabets in which stamped on a light yellow die cut fishtail banner. The edges of the banner are distressed to bring up the sentiment. The fireflies are stamped on white card stock and colored using Copic markers. It is later die cut using the matching dies. It is attached into the embossed circle using pop dots. The fireflies' tails are added with glossy accents to bring some shinny. Edit to add : This has card won Eclectic Ellapu - Wings Top Five. Please read here or refer here. This is adorable! What a great firefly and matching die. Thanks for joining us at the Pals Paper Arts this week! Oh my gosh, this is great! My husband and I were just talking about fireflies recently. I haven't seen one since I moved to SW Florida 15 years ago. 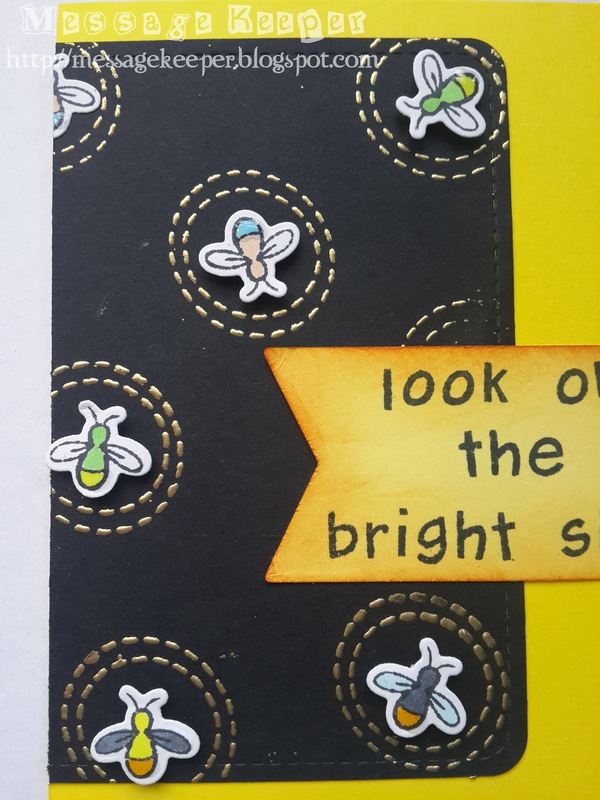 Love the fine details of your card, like the glossy accents on the fireflies. Thanks for sharing with us at Pals Paper Arts this week! I have a huge smile on my face! Fireflies always remind me of my childhood and trying to catch them! Super cute and super creative! Thanks for playing with the PALS this week!!! such a clever card! love the sentiment!! thank you for playing a long with us at lawnscaping!